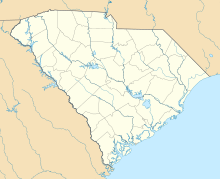 Darlington County Jetport (ICAO: KUDG, FAA LID: UDG) is a county-owned, public-use airport located nine nautical miles (10 mi, 17 km) north of the central business district of Darlington, a city in Darlington County, South Carolina, United States. It is included in the National Plan of Integrated Airport Systems for 2011–2015, which categorized it as a general aviation facility. The airport does not have scheduled commercial airline service. Although many U.S. airports use the same three-letter location identifier for the FAA and IATA, this facility is assigned UDG by the FAA but has no designation from the IATA. The airport was opened in October 1943. It was built by the United States Army Air Force, and known as Hartsville Army Airfield. It was used as an auxiliary training base for Florence Army Airfield, located 18 miles southeast. It was built as a bomber airfield, and supported A-20 Havocs, and later A-26 Invaders which were based at Florence. Its base unit was the 82nd Station Complement Squadron, which maintained the airfield and provided service to the aircraft. Military use of the airfield ended early in 1945, and it was turned over to civil authorities which converted it into a civil airport. Darlington County Jetport covers an area of 635 acres (257 ha) at an elevation of 192 feet (59 m) above mean sea level. It has three asphalt paved runways: 5/23 is 5,500 by 100 feet (1,676 x 30 m); 10/28 is 4,947 by 150 feet (1,508 x 46 m); 16/34 is 4,751 by 150 feet (1,448 x 46 m). For the 12-month period ending April 21, 2011, the airport had 8,200 aircraft operations, an average of 22 per day: 93% general aviation, 6% air taxi, and 1% military. At that time there were 11 aircraft based at this airport: 82% single-engine and 18% jet. ^ a b c d FAA Airport Master Record for UDG (Form 5010 PDF). Federal Aviation Administration. Effective April 5, 2012. ^ "Darlington County Jetport (ICAO: KUDG, FAA: UDG, IATA: none)". Great Circle Mapper. Retrieved June 20, 2010. This page was last edited on 5 October 2018, at 15:55 (UTC).